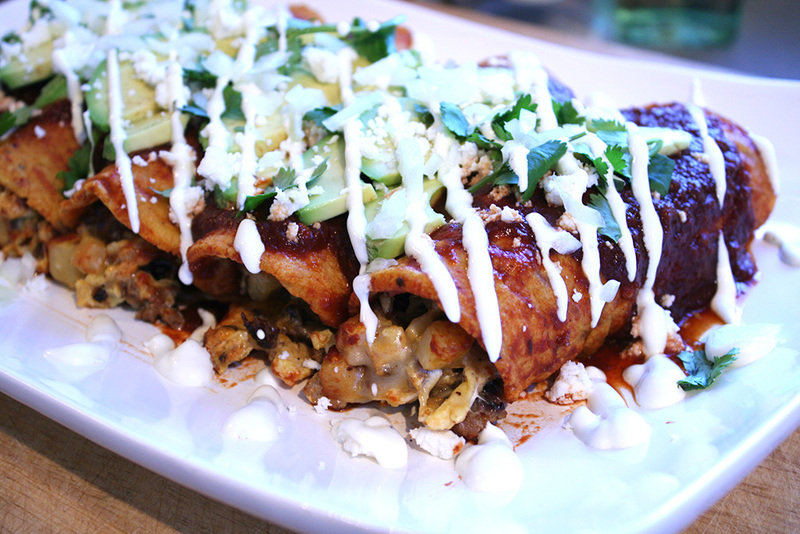 I don’t really think of enchiladas as breakfast food. 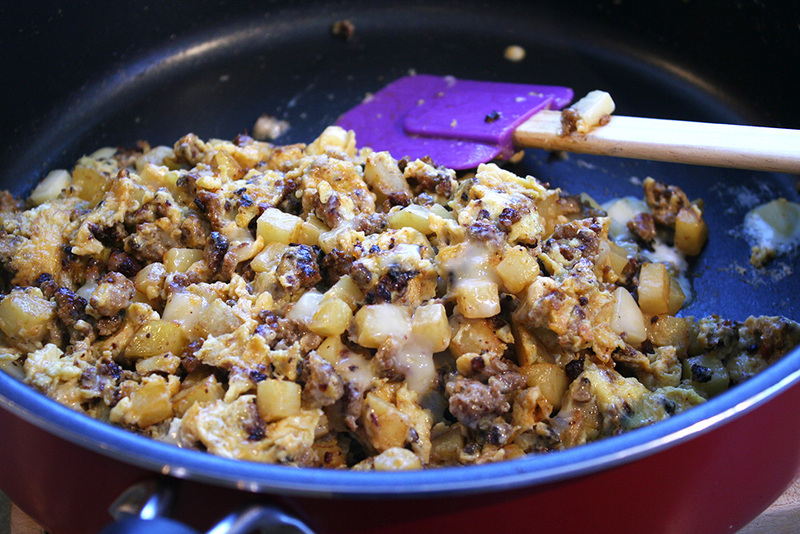 That being said, if you fill a corn tortilla with chorizo, eggs, and potatoes, it’s going to make a great breakfast. I use homemade corn tortillas, enchilada sauce, and chorizo . You can certainly use store bought versions of each. It won’t be as good, but it will save you time if that’s your thing. Heat a cast iron pan over medium heat. Toast the dried peppers for 1-2 minutes until fragrant. If they begin to smoke, it means they’re burning. Take off the heat. Place toasted peppers in a bowl and cover with hot water. Soak for 15 minutes, drain and add to a blender. Heat a small skillet over medium heat. Add the pepper, cumin, and oregano and toast for 30 seconds to a minute until fragrant. 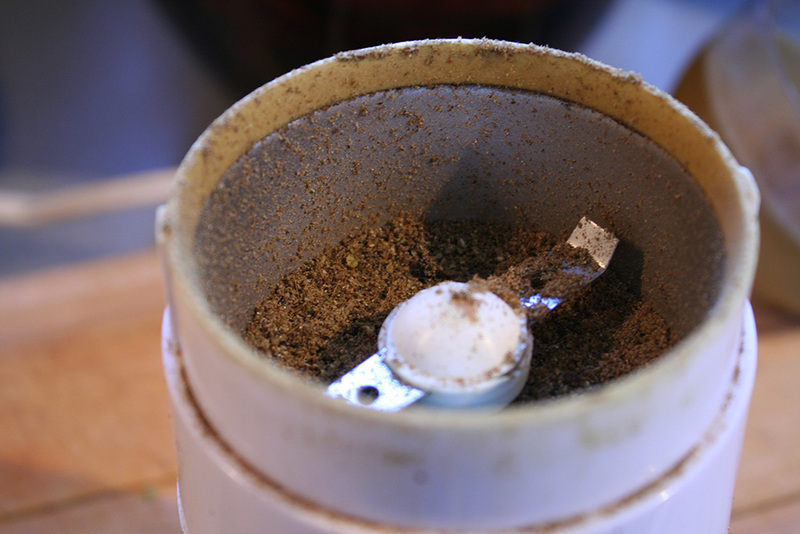 Grind in a spice or coffee grinder. Set your oven to broil. 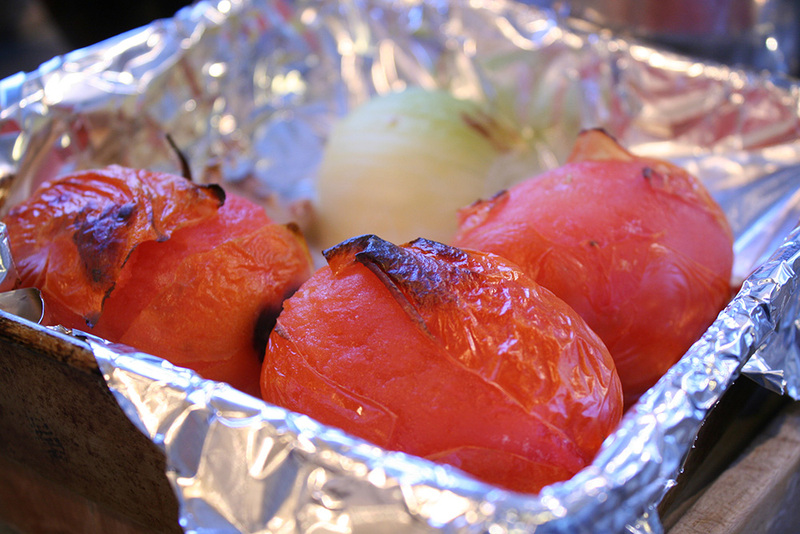 Line a baking sheet with foil and add the tomatoes, garlic and onion. Place in the oven as close to the heating element at the top of your oven as you can. Broil for 7-10 minutes per side until the tomato and onion are slightly charred. Let cool. Once the garlic is cool enough to handle, peel away the skin. Add all the roasted vegetables along with the soaked and drained chili peppers to a blender. Add the chicken stock to the blender and blend 2-3 minutes until smooth. 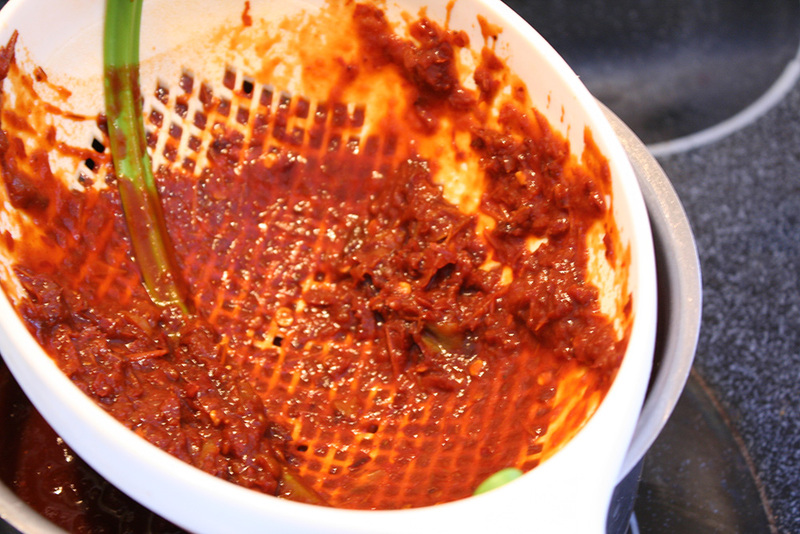 Place a large hole strainer over a medium saucepan and pour the sauce in and work through with a spoon. The peppers have bits of skin that will be hard to break down in a blender that you’ll want to catch in the strainer. Place the potatoes in a medium saucepan and cover with cold water. Bring to a boil and cook for 4 minutes and strain. Set aside to cool. Once cooled, dry with paper towels. Whisk eggs together in a bowl. Add a pinch of salt and little ground pepper. Heat a large non-stick skillet over medium high heat and add 1 Tbsp olive oil. 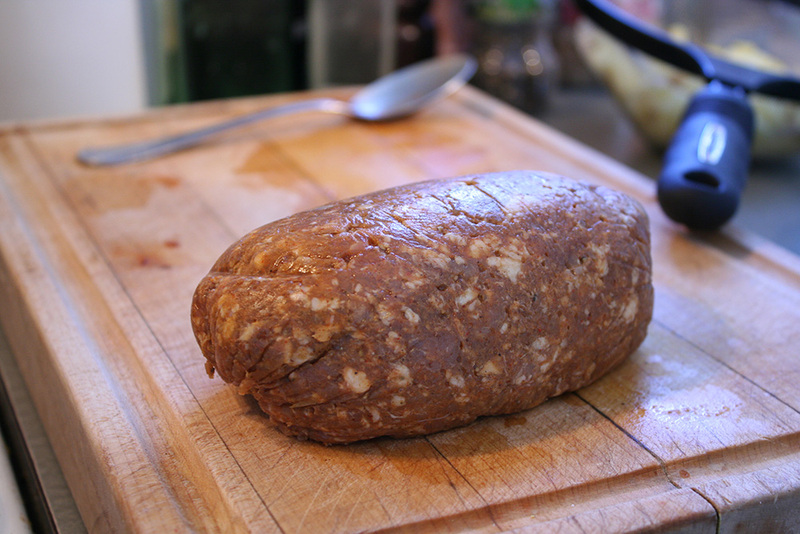 Add the chorizo and use a wooden spoon to break apart. Cook for 10-15 minutes, stirring occasionally and continuing to break apart as it cooks. You want it to browned a bit crispy here and there. Lower the heat to medium and add onions and cooked potatoes. Continue to cook another 5 minutes, stirring occasionally. Add garlic and cook an additional minute. Pour in the eggs and fold in with a spatula. Let cook for a minute and stir again. Continue to cook until eggs are set. Stir in the cheese and remove from heat. 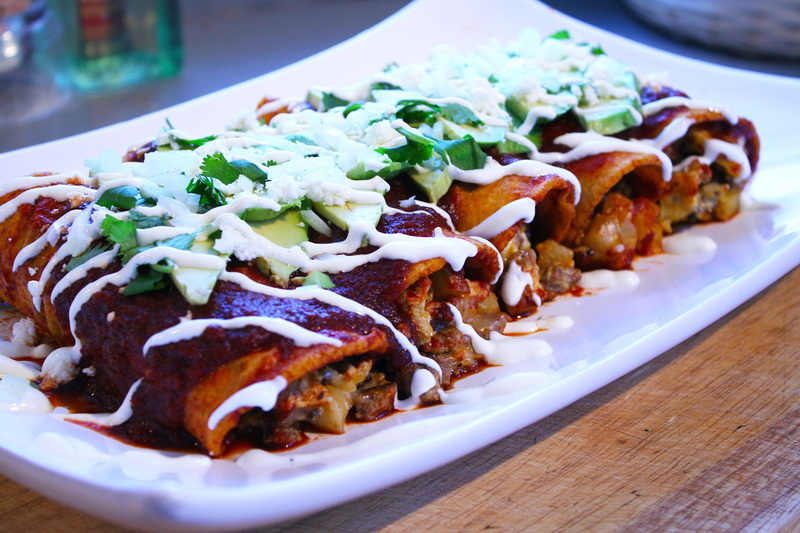 You can make the enchiladas on individual plates, or on a large platter. Heat a cast iron skillet over medium heat. Bring the sauce just to a simmer and turn off heat. 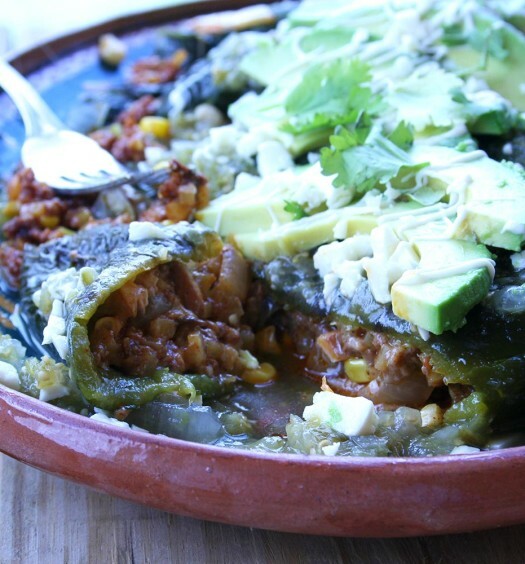 You want to heat the tortillas for 20-30 seconds per side in the dry skillet until plyable and then dip in the sauce to coat completely. 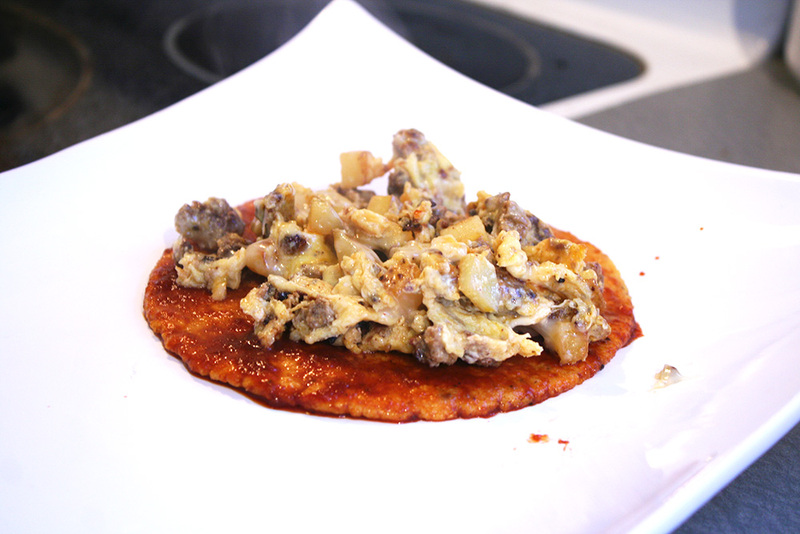 Place the tortilla on a plate and add about 1/4 cup of filling and roll tortilla ending with the seam on the bottom. Pour about 1/4 cup of sauce over the enchilada. 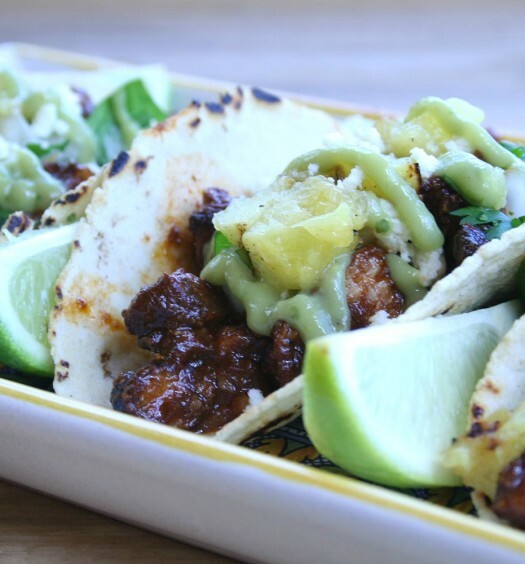 Garnish with sliced avocado, chopped cilantro, crumbled queso fresco, diced onion and chipotle sour cream.